I pieced together a pink, background for this hand made card (with envelope) that has some elements of glitter. 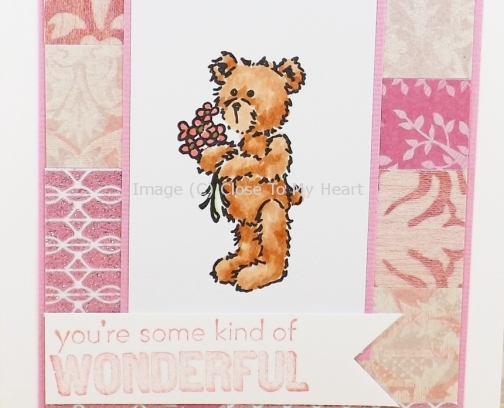 I hand coloured the teddy bear image who is holding a bouquet of flowers. The sentiment, in monochromatic pink, reads: "You're some kind of wonderful". 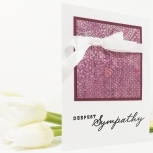 It's perfect for to brighten a good friend's day, or even as a Thank-You card. Thinking of You, Thank You!, Cheer Up!